Last summer while on our National Parks Motorcycle Trip, Rick and I visited our friends Jeff and Deann. While there Deann made her Aunt Marj’s Rhubarb Dream Bars for us. 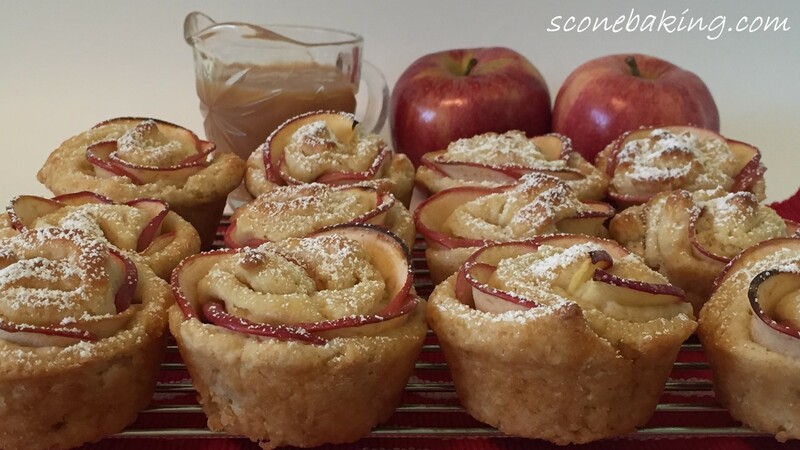 Oh my goodness, they are so dreamy good, I just had to get the recipe. 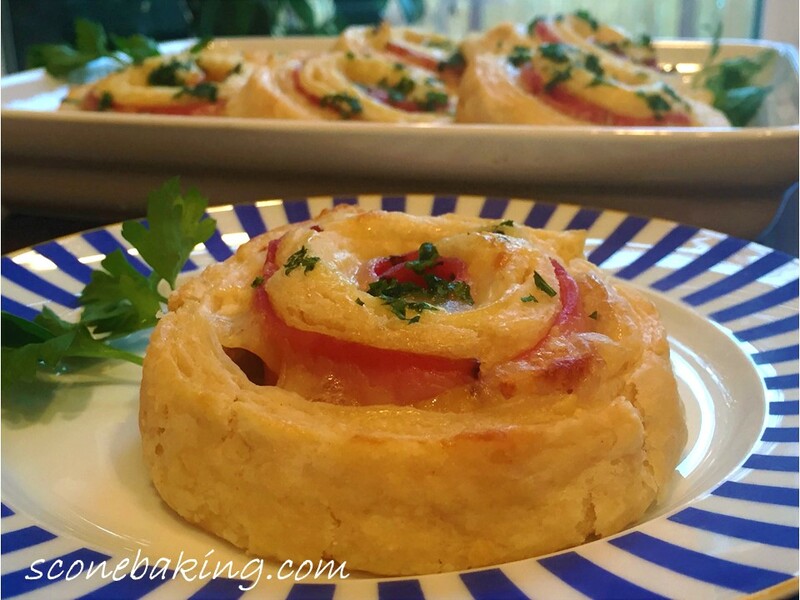 Not only did I get the recipe, but Deann agreed to let me share the recipe with you. 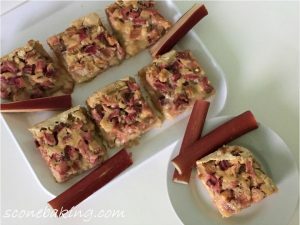 By the time we returned from our motorcycle trip, rhubarb wasn’t in season anymore, so I had to wait so share the recipe. 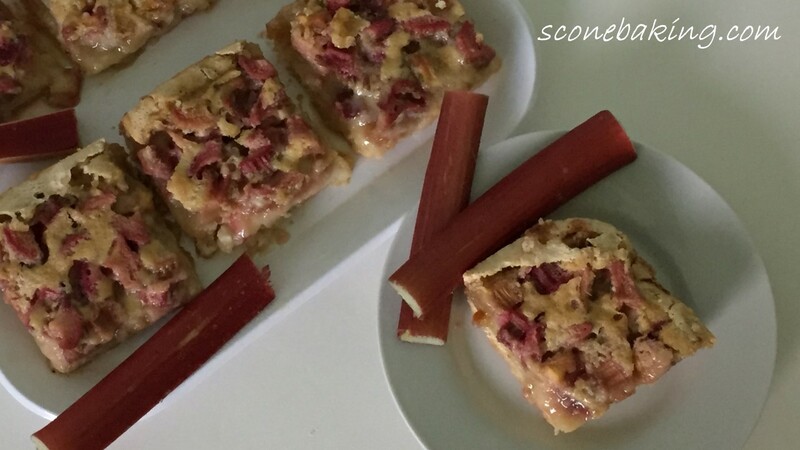 Well, rhubarb is in season now, so I;m excited to share the recipe with you. 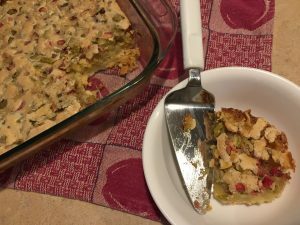 Aunt Marj’s Rhubarb Dream Bars are so easy to make. The hardest part about making them is waiting for them to cool down enough to cut them. I know I’ve said this before, but Aunt Marj’s Rhubarb Dream Bars are soooo dreamy good. 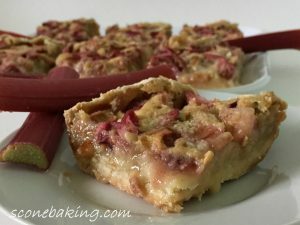 I’m sure these will become your favorite rhubarb dessert. Preheat oven to 350º F. In a large bowl, whisk together 2 cups flour, powdered sugar and 2 Tbsp. granulated sugar. Using your hands, mix in 1/2 of the chilled, grated butter, rubbing together until you get fine crumbs; add remaining butter and continue to rub together with your hands until fine crumbs. Pat into a 9″ x 13″ glass baking dish (or metal baking pan). Bake at 350º F. for 15 minutes (crust will be a light brown). In a large mixing bowl, beat eggs on medium speed until just turning light yellow (about 30 seconds); add 3 cups granulated sugar, 1/2 cup flour and salt; beat until just combined (about 30 seconds). Stir in chopped rhubarb. Pour on hot crust. Bake at 350º F. for 50-60 minutes, or until golden brown. Let cool completely. Cut into 2″ square bars. 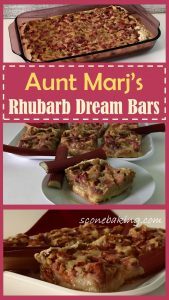 Below is a link to my YouTube Channel: Scone Baking and Beyond where I demonstrate how to make dreamy, delicious Aunt Marj’s Rhubarb Dream Bars. I’m sure these are wonderful as is, but I can see them with a dollop of whipped cream or a scoop of vanilla ice cream. Too yummy! Sandy, you are so right. A dollop of whipped cream or a scoop of ice cream would be wonderful. 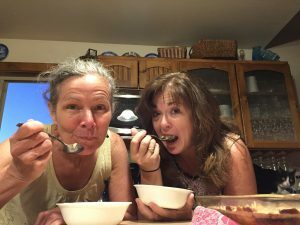 In fact, the last picture in the post is Deann and I having our Rhubarb Dream Bars with some sherbet. Thank you for the suggestion.